What It's Like on the Inside: It's a Major Award! 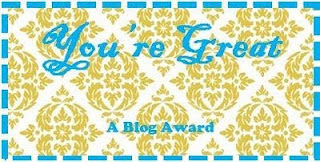 This is from Jenny at Elementary, My Dear, or Far from It, who recently said I was one of her favourite bloggers. Right back at'cha, Jen. I read lots of blogs, but my absolute favourites are those written by classroom teachers. I especially love elementary because those blogs are about kids and all of the delightful, frustrating, funny, and heart-wrenching things when you put 20+ of them in a classroom with an outstanding teacher. The focus is on how we help children---not strategies, tools, policy, and all of the other things that stand between us and them. Don't get me wrong, I read edublogs focused on those other components and enjoy them---I'm just saying that a blog from a classroom teacher will always be at the top of my list. 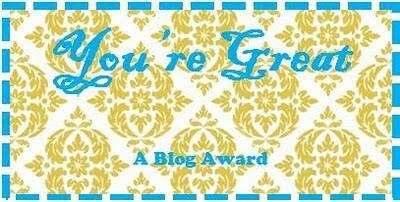 So, thank you, Jenny, for your passion for the classroom and all that you share on your blog. See you in Denver in a couple of weeks. Joanne Jacobs had a post yesterday asking "What happened to the teacher bloggers?" It reminded me of my question last fall about Where have all the bloggers gone? when I was hunting for science bloggers. I do think edublogging has changed over the 5+ years I've been posting here. There used to be a lot more classroom teachers and stories of classroom life. But I also recognize that the reasons people blog change with time, as do the rest of their lives. Media changes, too. There are far more classroom teachers I can connect with on Twitter than I can through blogs. Perhaps the widespread use of texting and cellphones with data plans has made the ways teachers want to communicate different. Teacher bloggers are now teacher microbloggers. For me, it's not important which medium teachers use to communicate their ideas and reflect on what happens in the classroom---it's important that we find them and listen. Second: I dunno about the blogger thing. I feel like every time I open up twitter I find a new teacher blog. What's been interesting is that twitter has gotten me out of my blog circle. I was stuck in a loop of bloggers and we all sort of linked to each other. Now it's like I'm reaching into unexplored territory. I will definitely agree that there aren't too many I've found that focus on the exact practice of teaching science. I don't know why and I'm certainly an example of that. Hey SG, You ARE my favorite blogger. Although I miss your tales of the classroom with its cast of both inspiring and depressing characters, I am content to come here and learn really good stuff along with your critical (in the good sense) analysis of the topic. I don't know enough about Twitter to use it constructively...maybe I'll have to learn more if you are thinking it's worthwhile. Congrats on the award. You are an awesome educator! I just visited my own blog - after months of not - and asked myself the same question. I wrote a post, and then went to go read all the blogs I used to read every day. I found that many, many of them had stopped blogging regularly at about the same time I had. I, too, wonder what it is. Has Facebook taken over? Has my change in schools (to a school I am more likely to complain about, instead of praise) affected my comfort with sharing details? Have I just gotten lazy? Busy? Regardless, my goal is to write more next year. I was looking at my old posts, and realized I had learned so much from writing them. My second year teaching was so different than my first, but I have nearly no record of it. That saddens me. I want a record of the insanity that is public school teaching. Maybe the teacher bloggers can make a comeback. It was a wonderful community to be part of, and I want to rejoin that community, if it still exists.